An amazing book, as topical now as it was when it was published. An intelligent and deeply philosophically engaged novel touching upon the basic elements of what it means to live as a human being in the social world. It tackles the themes of idealism, gender relations, love and trust, and political and social possibility in a touching and inspiring way. It questions the very possibility of utopia - and yet reaffirms the importance of idealism: underscored by the conviction that, even when full-scale change isn't possible, believing that it is remains one of the most important mechanisms for countering a retreat into social apathy, jealousy, insularism, distrust, and other actions and emotions that lead humans into spirals of self-destructiveness (on the social scale). 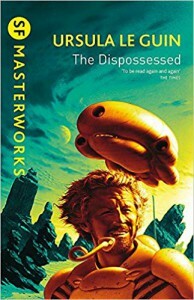 Most assuredly one of the best and most important science fiction books ever written - and refreshingly socially sensitive, even though its story is a deeply personal one.